Spectral Sensing Filters | VIAVI Solutions Inc.
Miniaturized hyperspectral sensors, enabled by state-of-the-art silicon imager and spectral filter technologies and driven by a “trillion sensors” future, are finding their way into an increasing array of instruments and devices, opening up views of the world previously invisible to the human eye. 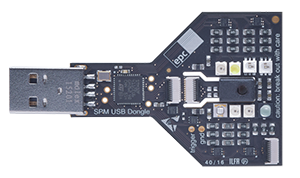 VIAVI Optical Security and Performance Products (OSP) and ESPROS Photonics Corp (EPC) have collaborated to bring to market a Developer Kit for their customers interested in exploring this new world. 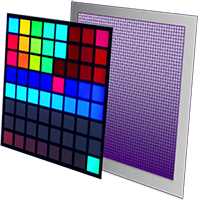 The SPM64 Developer Kit introduces a family of novel, high performance spectral sensors and imagers currently in early market test and development. 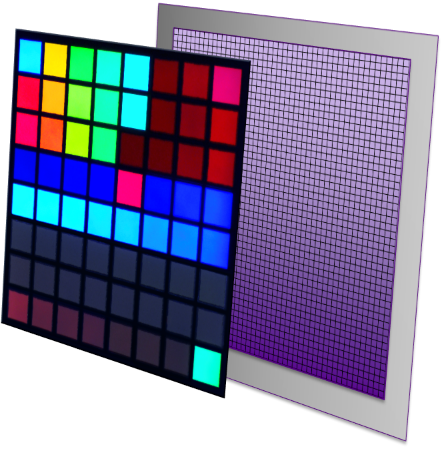 The Developer Kit is intended for customers interested in developing applications for multispectral sensing, or customers who want to evaluate this new sensor technology for applications they have already developed on other platforms. 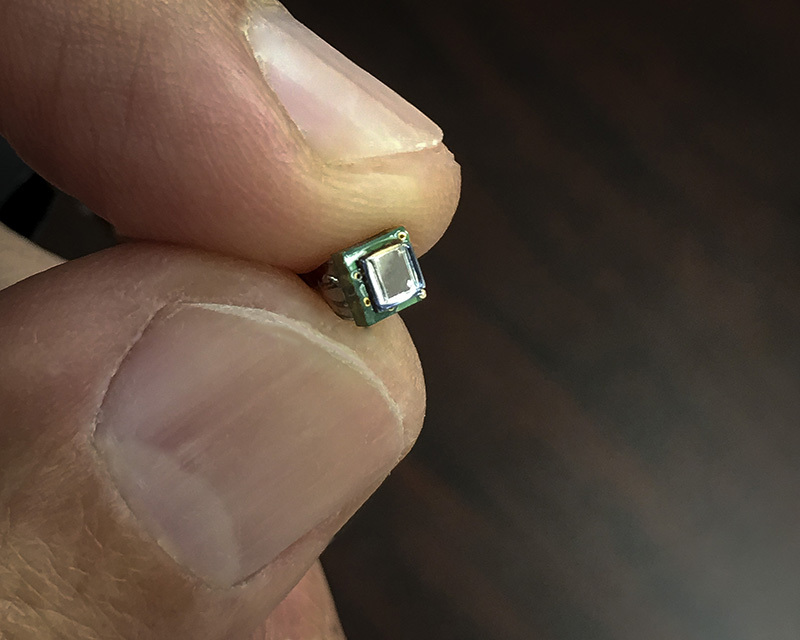 The sensor is an 8x8 array of miniature, high performance spectral bandpass filters bonded to a high efficiency hybrid CCD-CMOS silicon detector array. 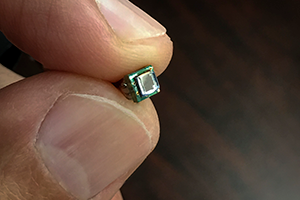 The resulting device is a 64-channel multispectral sensor with a detector area less than 1mm. Two versions are available: VIS spanning 390-900 nm, and NIR spanning 775-1065 nm. 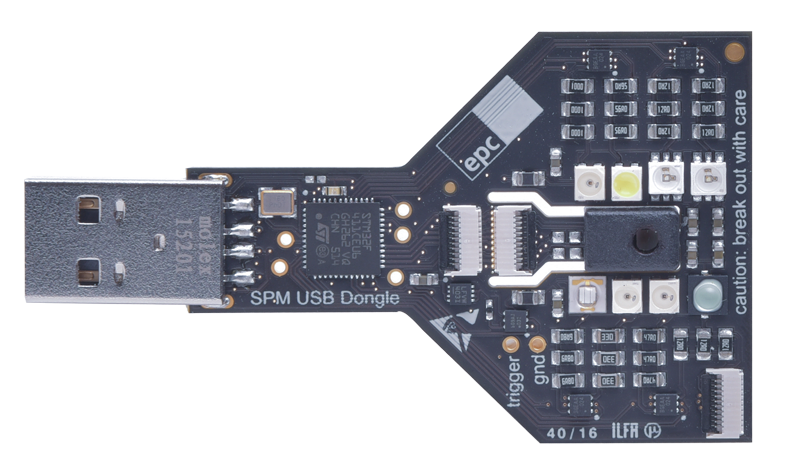 The SPM64 Developer Kit includes the sensor mounted on a USB-dongle style circuit board, further equipped with a selection of solid state light sources and supported by application software that allow users to acquire and save measurement data. An API is also provided for customers who want to develop their own applications.